Lemang, or bamboo rice, is made from a mixture of glutinous rice, coconut milk and salt, usually cooked in hollowed out bamboo sticks lined with banana leaves. 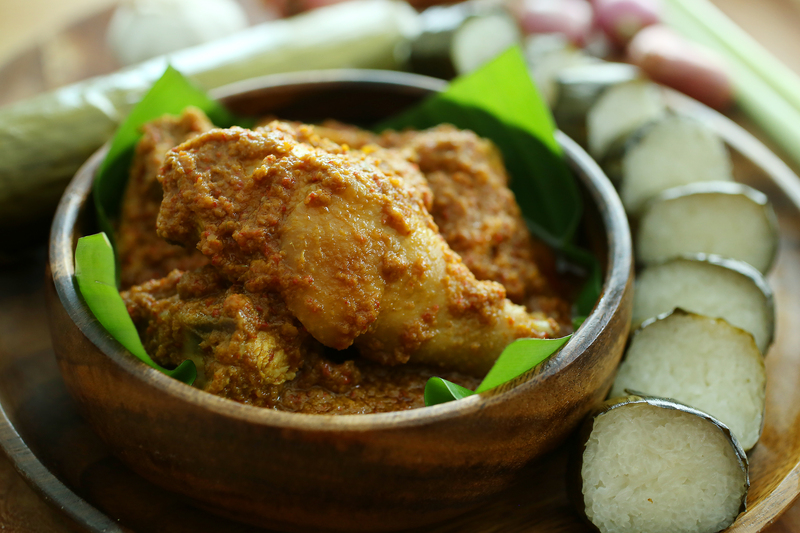 We found a way to cook this traditional dish in your modern oven without the bamboo stick, but still having the rice take in the wonderful scent from the banana leaves. 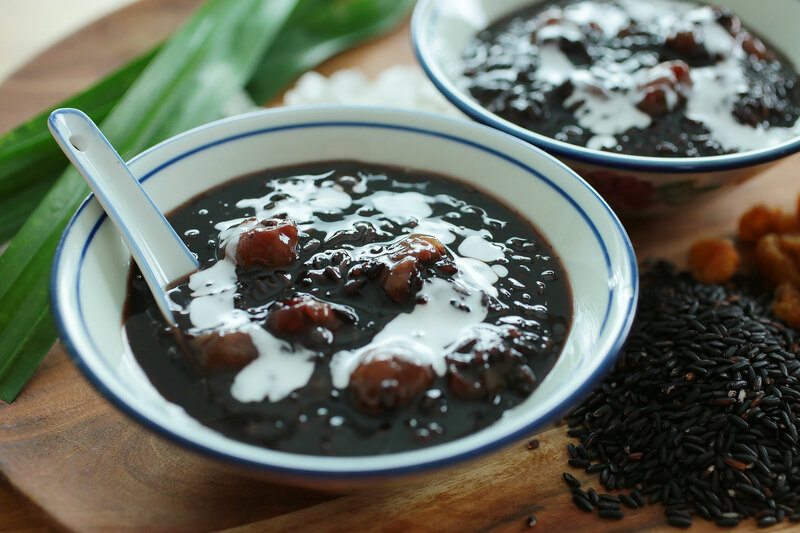 Bubur Pulut Hitam originated from Indonesia, and has been fondly adopted as a local dessert in Singapore and Malaysia. In old days, black rice was nicknamed “forbidden rice” because, as you probably guessed it, it was reserved for the blue-blooded. 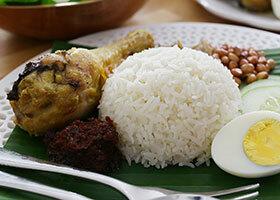 Fortunately, as our societies became modern and affluent, these dishes have become available for us to share and enjoy. 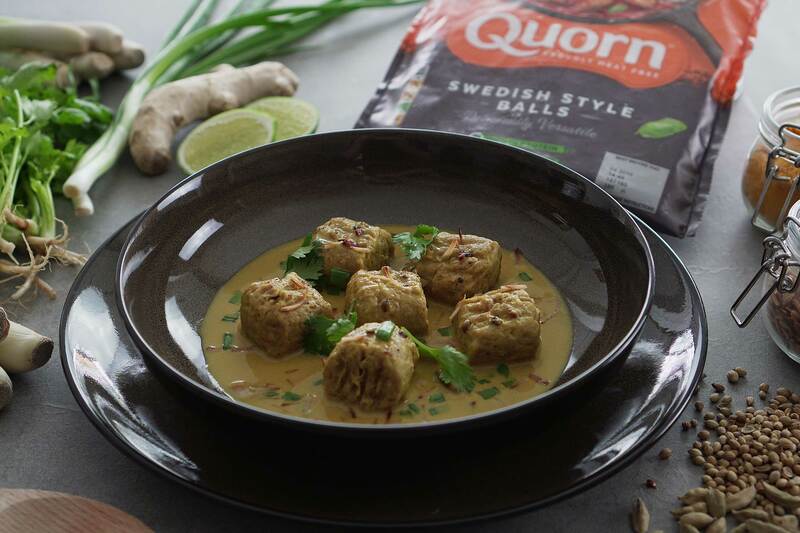 Although mostly used to decorate dishes today, you can savour its health benefits in the form of this unassuming delicious little dessert – made easy! 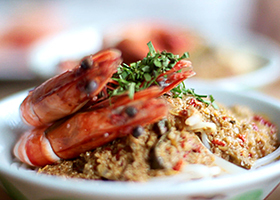 One of our favourite desserts made with coconut milk, this treat is sweet and comforting. If you are able to, get fresh coconut milk as we’d recommend over the packets ones! 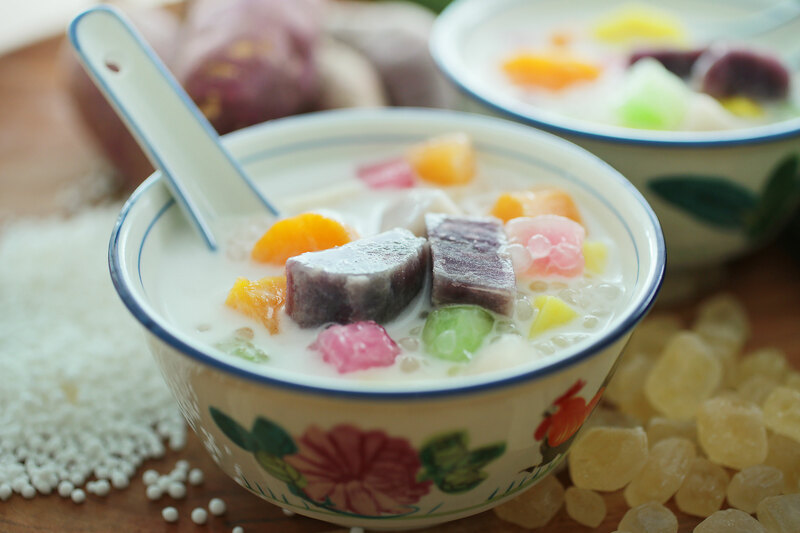 Sago and coloured tapioca cubes give this dish both texture and a nice colour contrast. For our recipe we are using 3 types of sweet potatoes and yam too. After steaming the sweet potatoes, add the purple ones only before serving as it tends to dye the coconut milk. Gula Melaka (palm sugar), coconut milk and pandan (screwpine) leaves are the three undisputed stars of Southeast Asian dessert!